​Tenerife is a tropical paradise set in the middle of the Atlantic Ocean; it has the third highest volcano in the world and the island itself is divided by a mountain ridge 2000 metres high, creating a variety of eco-systems from desert to pine forest, sub-tropical laurel forest to breath-taking mountains, all within a few miles of each other, quite extraordinary. The island is fabulous for trekking, with a range of glorious walks that are quiet simply ‘musts’ if visiting the island as well as climbing and canyoning for the more adventurous. Biking is an up and coming activity now, vying with Madeira for professional cycling training in the winter. There are five mountain routes to Teide and the cycling company we use has a multi start programme through which they guarantee everybody can reach the top from each direction in a week’s holiday- Fabulous, bring a camera. Great fun! If you have the stomach for it you can throw yourself off the mountains Paragliding or, more gently, horse riding on rescue horses. Alternatively you can swing between the tree tops in the ‘Go Ape’ facility or simply enjoy a swim in the Olympic outdoor heated pool in Los Christianos. 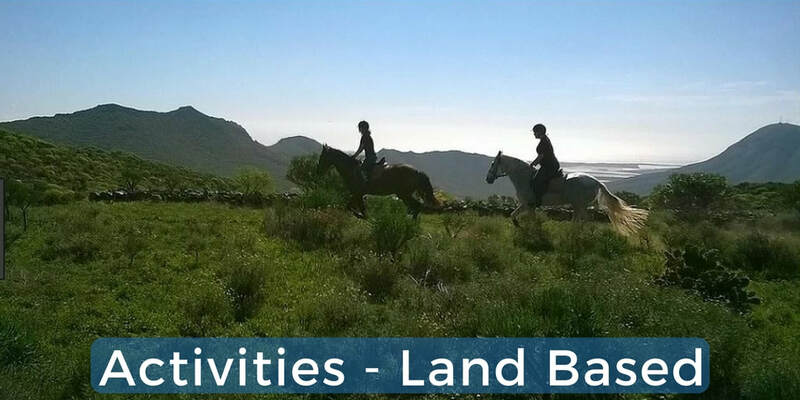 All the activity providers listed are known to us; they have provided quality instruction to hundreds of volunteers with the AWdF over the years and can be relied upon to exude enthusiasm and passion for their sport, all in the glorious natural setting of one of the world’s top tourism destinations.